The No. 1-seeded Rafael Nadal was at his best in his semifinal victory over Wimbledon champion Andy Murray on Friday. PARIS – This is what Rafael Nadal and Novak Djokovic wanted. It’s what they expected. And now they’ll meet in a French Open final with so much at stake for both. Nadal is seeking championship No. 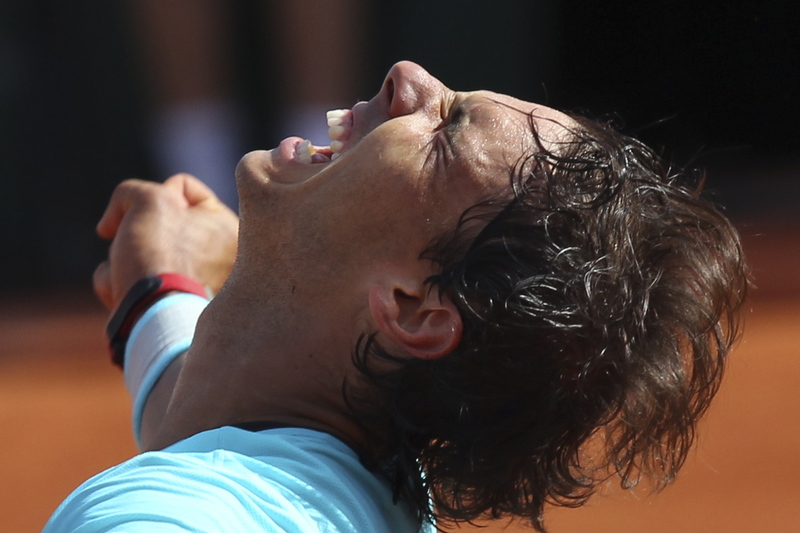 9 at Roland Garros, and his 14th major title overall. 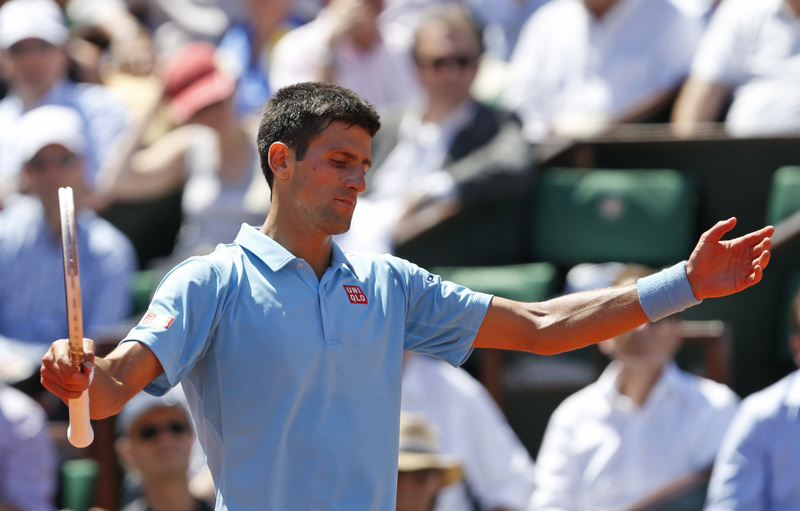 Djokovic is hoping to finally conquer the French Open and complete a career Grand Slam. Fittingly, whoever wins the rivals’ 42nd head-to-head meeting Sunday will be ranked No. 1 on Monday; the runner-up will be No. 2. In Friday’s semifinals, the No. 1-seeded Nadal was at his imperious, and nearly immaculate, best in a 6-3, 6-2, 6-1 victory over Wimbledon champion Andy Murray that lasted all of 100 minutes. Nadal never faced a break point, converted all six he earned, and whipped his uppercut of a forehand as only he can. That’s sure saying something. Toni’s nephew is 65-1 at the clay-court tournament and carries a 34-match winning streak into the final. The thick, gray clouds and chill that became a staple these two weeks gave way to sunshine and warmth Friday, and Nadal reveled in it. All in all, Nadal made Murray look rather lost. The No. 2-seeded Djokovic’s semifinal was only slightly less perfunctory, a 6-3, 6-3, 3-6, 6-3 victory over 18th-seeded Ernests Gulbis of Latvia that came first Friday, when the temperature hit 82 degrees (28 Celsius). Wrapping a cold towel around his neck during changeovers, Djokovic was brilliant through two sets, then faltered in the third, showing frustration by spiking a racket so hard he mangled it. Djokovic has made no secret of the importance he places on a French Open title to add to the six majors he’s won – four at the Australian Open, one each at Wimbledon and the U.S. Open. Afterward, Djokovic said he felt “physically fatigued a little bit” and was looking forward to resting until Sunday, when the forecast predicts similar heat but also a chance of rain. No two men in the Open era, which began in 1968, faced each other as often as these two. Nadal leads 22-19 overall, 8-3 at majors, and 5-0 in the French Open – including victories over Djokovic in the 2012 final and 2013 semifinals. But Djokovic won their last four matchups, including on clay in the final at Rome last month, which the Serb said boosted his belief in himself. Nadal arrived at Roland Garros dealing with some doubts. There were the three losses on clay in 2014. There was the pain in his back that resurfaced early last week, leading to a dip in his serve speeds and prompting him to wear vertical strips of tape under his shirt for support. By Friday evening, all was well. His back felt fine. His serves had zip. His forehand was fearsome.